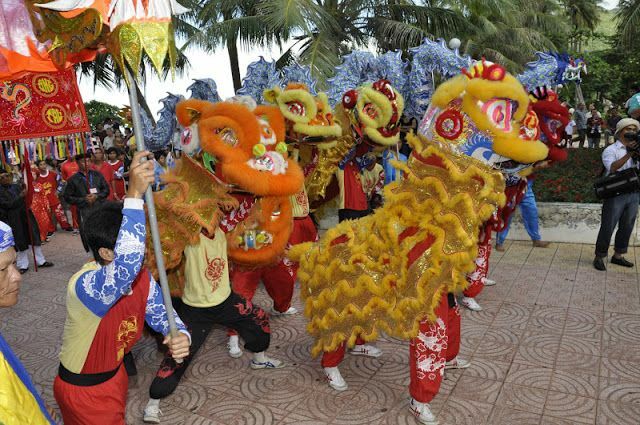 As one of 15 national big festivals, every year the Whale festival in Thang Tam communal house, Vung Tau city involves thousands of locals and tourists. 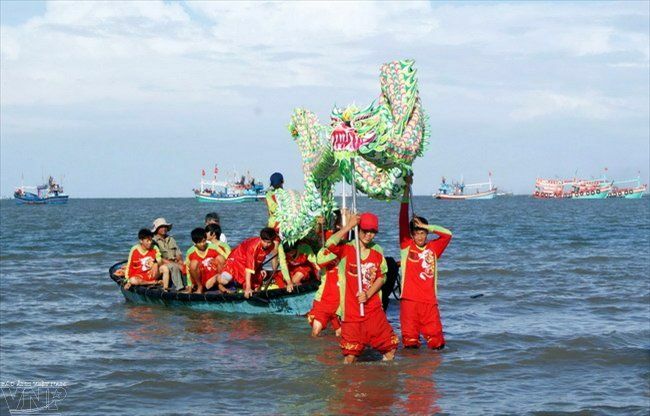 This is a traditional festival of Vung Tau fishermen and also the most important occasion for fishermen to acknowledge the Whale- the savior of fishermen and marine jobs in general. The Thang Tam communal house is an architectural population including three relics: Thang Tam communal house, Miss of Five elements, tomb of Mr. Nam Hai. According to legend, The Thang Tam communal house worships three people who had great merit of building 3 Thang villages of Vung Tau. They are Pham Van Dinh, Le Van Loc and Ngo Van Huyen. The festival in the Thang Tam communal house is annually held in four days from 17th to 20th of February lunar calendar. This is the festival for peace and the time to end and start a harvest of sea products. 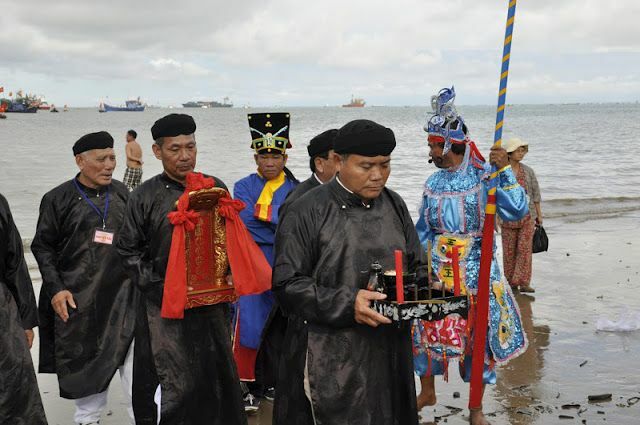 The Whale festival is associated with the belief of worshipping the Whale in fishing villages from the Central to the South. Each fishing village shall organize the festival in different times but all have the though that the Whale is a divine savior of fishermen and marine jobs in general. 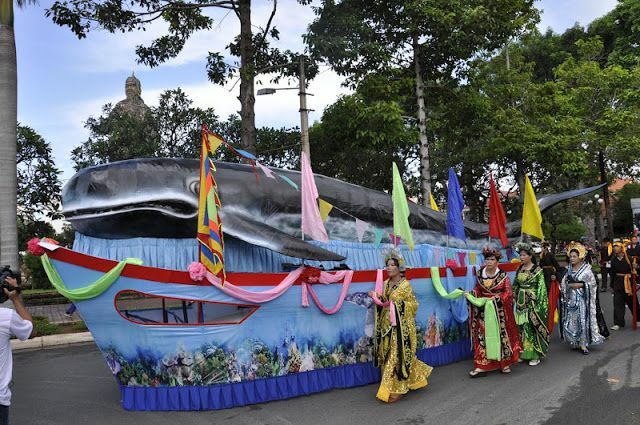 The Whale festival is held in all fishing regions of Ba Ria- Vung Tau such as: Binh Chau commune (Xuyen Moc district), Phuoc Tinh Commune, Long Hai (Long Dien district), Phuoc Hai (Dat Do district), Nhat Dinh Thang, Thang Nhi, Thang Tam (Vung Tau), etc. but most special is the Whale festival in Thang Tam communal house (Vung Tau city). Moreover, the Whale festival- Thang Tam communal house still maintains traditional rites and fests such as folk games, lion dance, Tuong singing (Classical Opera). The Whale festival- Thang Tam communal house takes place in three days, each day involves about 5,000 visitors. 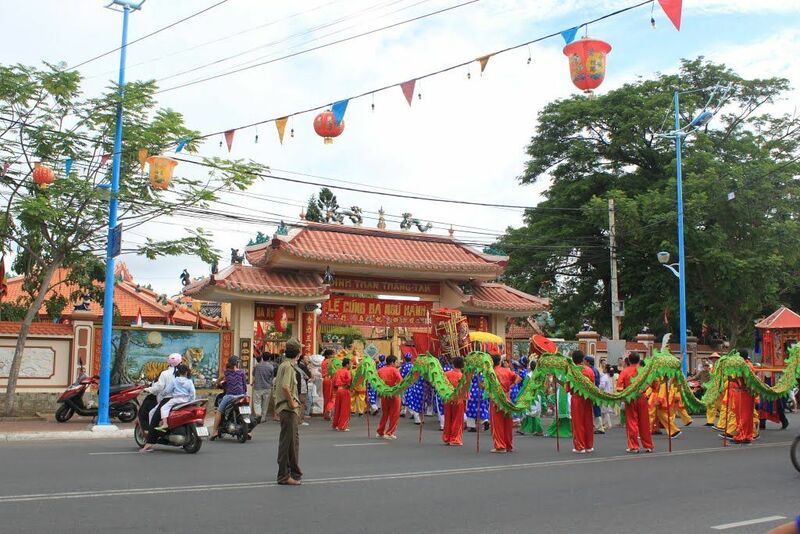 Not only local people, the festival attracts fishermen from neighboring provinces such as: Ho Chi Minh city, Binh Duong, Ben Tre, Can Tho, Vinh Long, etc.